Nutrition and fitness are important aspects of overall student health, and as students enter and navigate through college, establishing and maintaining healthy habits can be crucial. However, it’s common for students to focus less on exercise once they leave for college, as illustrated by a study from Mannheim Institute of Public Health, Social and Preventive Medicine, and learning how to cook and eat well is no small task. College can be physically, mentally, and emotionally taxing, so while it may seem less important than studying or taking advantage of the myriad social activities on campus, keeping on top of fitness and nutrition can help students maintain holistic wellness and thrive in school and life after graduation. College students not only have to deal with adjusting to high-level coursework, social changes, and living away from home, but also health-inhibiting factors like tight budgets, busy schedules, and figuring out how to eat well without parental guidance. Luckily, most fitness and nutrition challenges for college students have fairly simple solutions that, with time and practice, can keep students feeling well term after term. College students, especially those who are still adjusting to new routines, already have tight schedules, so finding time to eat well can be a huge hurdle. Grocery shopping, finding recipes, cooking, and learning how to do it all is a big challenge for most college students. Swapping out traditional snack foods for healthier options can give students nourishment without taking extra time from their schedules. Students can consider tea instead of sugary lattes, for instance, or pack easy to eat fruits and veggies to fill the gaps between meals. Students can also reduce the time spent on cooking by preparing their meals or ingredients ahead of time. Meal prep comes in handy when students are hungry and pressed for time, because some or all of the work is done ahead of time, whenever it’s convenient. Researching and investing in select dorm-safe appliances can help save time, too. Glass food containers and all-in-one cookers like the Instant Pot can be helpful. When it comes to nutrition, there are ways students can boost their wellness without too much of a scheduling hitch, like grabbing some yogurt instead of a bag of chips from the campus quick mart. Getting or staying in shape, on the other hand, requires actual time set aside and dedicated to exercise. Having consistent times set for exercise may be ideal, but it isn’t always the reality for college students who have to balance going to class, homework and studying, a job, and their social lives. However, college campuses strive to make recreation convenient for their students. P.E. classes, for instance, naturally become part of a student’s schedule, which takes away some of that time-based pressure. Students can also examine where they do have time. Those treks across campus between classes are great opportunities to get their heart rates up, and quick exercises like crunches, pushups, or jumping jacks to break up study sessions have the added bonus of keeping tired students’ brains alert and focused. After leaving home, many college students have to face the reality of buying their own groceries, which can be a shock. Students may find that they can’t afford the foods that were readily available at home, and it often seems like healthy foods are more expensive. College meal plans can have drawbacks when it comes to healthy eating, but paired with smart choices, they’re valuable for grocery-shy students on a budget. Using tools like the USDA’s MyPlate, students can make healthy decisions in the dining hall and alleviate some of the stress of budgeting for groceries. Students can compile healthy recipes designed for students on a budget and stock their dorms accordingly. It’s important for students to keep in mind that skipping meals isn’t the best way to save money, and it’s not healthy either. Many healthy foods, like vegetables, are inexpensive, and eating regularly can help curb impulsive snack purchases, which can add up quickly and tend to be unhealthy. In high school, active students’ extracurriculars may have been financed by their parents, and now in college, tennis lessons, karate classes and family gym memberships are no more. Even joining teams and clubs in college can come with dues and other expenses, making recreation seem out of reach. Many colleges have gyms on campus, and “membership fees” are often included in tuition, as long as students are taking a certain number of credit hours. Campus recreation centers may have a range of facilities and perks, like climbing walls, pools and free classes if the standard weight room isn’t appealing. Some schools even offer outdoor adventure trips for those who want to get outside. Students can also get some fitness in through P.E. classes. These tend to be low-credit, which can keep costs down. And while some student clubs and organizations have dues and fees, many do not, giving students a cheap way to get fit while meeting people with shared interests. Entering a new environment with new freedoms can cause students’ priorities to shift toward making friends and making the most of their college experience. Partying and eating out with new friends can push nutrition to the back of students’ minds and come with their own negative impacts on student health. Social wellbeing is important in college, but students should make sure to keep it balanced with their physical wellbeing, too. Those under 21 should obviously refrain from drinking alcohol, but those who are of drinking age can help curb the negative impacts of alcohol by making sure they eat a good meal before going out and by drinking plenty of water throughout the night. A glass of water per alcoholic drink can help students process the alcohol and reduce their hangovers. Students who socialize over meals or coffee dates can help their nutrition by being mindful of their food and drink choices and limiting how often they go out to eat. Cooking in with friends can be a great way to socialize, and everyone can get a cheap, healthy meal out of it. Students who were involved in high school or extracurricular sports may not have those same fitness opportunities when they get to college. College coursework can take a more of a student’s time and focus than their high school classes, and the importance of doing well in college can have more weight than keeping up with sports or fitness. Students who feel that their fitness doesn’t need to be a priority now that they’re in college should know that studies show that students who work out get better grades. If simply thinking about exercise as a brain boost doesn’t do the trick, students can enlist a workout buddy to help with accountability. Students can also think of exercise as a way to enhance their curricula; building relationships in college is an important aspect of collegiate success, and athletic clubs are a great way to gain practical soft skills and establish relationships with people outside their majors. Getting fit, in this case, is an extra perk. Nutritious food is not always readily available to students. Many schools require meals plans at all-you-can-eat dining halls or those filled with fast food windows; campuses can be isolated, making grocery stores feel impossibly far away; and dorms are often without kitchens and prohibit appliances that making cooking possible. Students who are required to eat in the dining hall can make the most of their meal plans and enter the hall with a healthy plan in mind. The endless options can be hard to resist, but seeking out healthy options and filling only one, well-balanced plate at a time can help students make better food choices. Students may also be able to take healthy foods, like apples, carrots or yogurt, with them to have as a snack later. Those who are able to cook in their dorms but have limited access to grocery stores can try planning a bi-weekly or monthly grocery store trips to stock up on healthy non-perishables. Fresh ingredients can be transformed into meals right away and then stored in the freezer to be eaten later. Again, investing in dorm-approved appliances can be a great help to those with limited access to healthy meals. When it comes to fitness, access is about a student’s comfort level as much as it is about the availability of facilities and activities. Some students may enter college and find that their go-to fitness activity isn’t available at the rec center, which can be discouraging. Other students are new to fitness and find that gym culture, working out alone or taking classes with more experienced students makes exercise completely inaccessible and uncomfortable. Many colleges offer a huge variety of physical activities outside of the gym, including yoga, dancing, martial arts and ultimate frisbee. Trying a bunch of different activities early in the term can help students find a physical activity that matches their interests and abilities. Students who struggle to find an on-campus activity that interests them can look into starting their own club. Schools may provide some funding to help new clubs get the equipment they need to get off the ground. Dorm rooms can also be excellent places to work out for those who prefer to exercise in private. Videos, fitness blogs, and even online personal trainers can provide students a comfortable space to get or stay fit in college. Sleep deprivation is prevalent among college students, which can have significant negative impacts on their health, including weight gain, diabetes, mental health problems, poor concentration, and elevated blood pressure. Students who haven’t slept well may also find that they are too tired to keep up with healthy food choices and may turn to easy junk food and caffeine instead. Students can try to ensure a good night of sleep by managing their schedules and preventing late nights, but this isn’t always possible or easy. A big step students can take to improve their health and their sleep is to be mindful of their caffeine intake. A boost during the day can be nice, but caffeinated drinks are often sugary and can keep students awake and restless through the night. Preparing food ahead of time can also help ensure students have a nutritious meal even when they’re too exhausted to cook. Staying up late to cram for an exam can leave students too exhausted to exercise safely and effectively the next day, if they feel like going at all. In college, poor sleep isn’t usually isolated to a few days a term, either, which means even the most well-intended students can get thrown off their fitness schedules. It’s easy to suggest sleeping more, but the challenge lies in how to get more sleep. Time management is one of the best solutions; a solid schedule can help ensure students have enough time to study and exercise. Plus, exercise tends to help with restful sleep, so pushing through and getting in a little workout where possible can help students maintain consistent sleep schedules. It is important for students not to overtax themselves, however, as this can lead to injury. Those with serious sleep problems can look for resources at their school’s wellness centers. Many college students struggle with body image, self-worth, stress, anxiety, and depression, which can negatively impact their nutrition. Finding the motivation to cook when depressed, making sure to eat enough when feeling unworthy of food or coping with stress-related snacking can be tough realities of college life. Students dealing with mental and emotional health issues should take advantage of their school’s counseling and wellness centers. Whether they need to talk to a counselor, have time in a meditation room or consult a doctor about long-term solutions, addressing mental health challenges can help students’ overall nutrition. Body image and self-esteem issues can prompt students to get in shape, but with unrealistic body expectations and perfectly posed photos all over social media, students can fall into unsafe fitness patterns hoping to achieve the ideal body. When choosing workout routines and fitness regimen, students should be cautious about where they get their information. Campus rec centers and gyms are often staffed with professional trainers who can provide guidance and make sure students don’t work out too hard or get wrapped up in hypercriticism. Counseling and wellness centers can also provide guidance and help students form healthy, rather than damaging, habits in and out of the gym. Eating well in college and consistently nourishing a physically and mentally taxed body sounds good in theory, but learning about nutrition, cooking, and sustaining good habits is overwhelming, and it’s difficult to learn while balancing everything else in college. Colleges are nothing if not sources of knowledge and places to learn. Many schools have on-campus nutritionists and health experts to guide students toward healthy lifestyles in college and beyond. Students can always spend some of their down time browsing the internet for recipes and tips or trying out some of the many nutrition-focused apps and tools available. Exercising isn’t always straightforward. Students may have access to gym equipment, but figuring out how to use it safely and effectively can be tricky and discouraging. Taking fitness classes at the rec center or for-credit P.E. classes opens students up to supported exercise. Students can learn skills, routines and safe habits and continue using them after the term ends. Some schools also have personal trainers that students may hire or, at least, ask questions. Joining clubs can also be a great opportunity to learn a sport or other recreational activity with no experience required. MyFitnessPal: This free app has tons of easy-to-use features that can help students log and track their food, fitness and health goals. Students can also link the app with over 50 fitness apps to make managing nutrition and fitness even more streamlined. Rachel Paul @thecollegenutritionist: Rachel Paul, PhD and Registered Dietician, supplies students with a wellspring of health and nutrition information, recipes, meal plans and more. Her instagram feed functions as a learning tool, challenging followers to “spot the difference” in similar meals to find the better option and why. Fooducate: Fooducate is a food tracking and weight loss app, but it also helps users find healthy foods. Users can scan barcodes, for instance, and Fooducate provides a nutrition breakdown and overall health grade, taking a bit of the guesswork out of eating. Budget Bytes @budgetbytes: Perfect for the frugal student who still wants a good meal, Budget Bytes offers cheap, delicious recipes geared toward college students. Each recipe has a money breakdown per meal and per serving, so with easy cauliflower and chickpea masala at $1.03 per serving, there’s no reason to order pizza or peel the top off another cup of microwave ramen. Students can also find an ingredient index, a list of pantry essentials and tips on meal prep. No More Ramen: Like Budget Bytes, No More Ramen aims to help students and other folks on tight budgets eat well without needing a huge cooking skill set. All posts are created with the spoon theory in mind, so recipes are often accommodating to people with dietary and other restrictions. Headspace: Why would a meditation app help with nutrition? Headspace can help students manage stress, anxiety and erratic sleep habits, all of which are important in maintaining good health. Amanda Meixner @meowmeix. Meixner’s instagram feed can help students demystify food and make healthy choices without providing a “right” solution for everyone. Recipes, simple food combinations, healthy snack swaps and tidbits of health information can help students learn about nutrition and figure out which foods are right for their needs and goals. Nerd Fitness: Nerd Fitness offers a wealth of information on fitness for newbies, students and people who love Transformers references. Nerd Fitness is an non-intimidating community of people looking to get fit, and students can find tons of workout breakdowns, motivators and even online training sessions. Sworkit: Customized workout plans and quick, easy-to-follow videos make working out in a dorm accessible for new and experienced students alike. Skimble: Skimble is a workout training app that provides students with a range of different fitness coaching styles. Users can get video breakdowns of exercises that target specific muscles, find routines by activity or participate in guided training programs that last between two and four weeks. College Muscle: Students who want to go all-out with their fitness in college may find the blogs and resources on College Muscle useful. College Muscle focuses on getting and staying ripped in college, even when faced with ever-present beer and pizza. 7 Minute Workout: Consistently finding yourself short on time? Johnson & Johnson’s 7 Minute Workout app may be just the solution. The app helps users get the most out of each minute, so students can get an effective workout, even when cramming for finals. Zombies, Run! : Running can be boring, but students can liven (or un-liven) up their exercise routine by turning their jog into a zombie chase game. Zombies, Run! transforms a boring workout into an interactive game with missions, chase music, supply-gathering and gurgling zombies threatening to eat users if they don’t pick up the pace. Fit University @fituniversity: Fit University is a community of health-focused college students who share their experiences and advice on the Fit University blog and social media pages. Fit University is a great resource for students looking for other fit-focused students to follow, too. WIth its thriving community of student athletes, perhaps it’s no surprise that the University of Texas puts strong emphasis on student health and wellness. Healthy living isn’t reserved for athletes, however; resources abound for all students interested in getting or staying fit and well-nourished. Healthyhorns TXT, for instance, is an opt-in text messaging program that sends students fitness and nutrition tips, information, events and campus resources. The university is also home of the Fitness Institute of Texas, which offers the Get FIT program, a 12-week program to help with fitness, weight loss and behavior change. The Fitness Institute also offers eight fitness assessments and two nutrition assessments to help students and community members understand their unique health circumstances and goals. UT’s rec center offers a fitness and wellness program, which features a TeXercise Pass that gives enrolled students unlimited access to over one hundred classes each week, personal training and an F45 Training program. Rice University’s dining services aims to provide students with food that is appetizing, sustainable, varied, and nutritious, and they come through. With award-winning chefs providing dishes like “Pollock fish with bean sprouts and pickled green salad” and “Local tofu with butternut squash and sweet potato,” eating well in college is both easy and enjoyable. Students always have access to dishes that comply with various dietary restrictions, and dining services’ online menus are color coded to make finding appropriate food easy. Ninety percent of the dining hall’s food is made in-house from scratch, and a weekly farmers market--complete with recipes--help students access local produce and prepare their own nutritious meals. When in doubt, students can visit the on-campus nutritionist for health guidance, and they are encouraged to participate in Rice’s annual 5k race, visit the wellness center, brush up on their sexual health and Title IX knowledge through Project SAFE and try out some of the unique intramural sports and activities, like innertube water polo. Students at the University of Maryland benefit from a smoke-free campus, but the school’s focus on student health does not end there. UMD is home to Terp Farm, an organic sustainable farm run by students that provides ingredients to the school’s dining hall, mobile food truck and community members in need. Students can also conveniently access fresh ingredients at UMD’s weekly farmer’s market. Those who visit the dining hall can get help making healthy decisions with the Smart Choice menu, which makes choosing well-rounded, calorie-conscious meals easy. The dining services website also provides nutrition information for all meals, plus a variety of other resources and tips for healthy eating. UMD students can also get fit nearly any way they want between the school’s three indoor facilities, multiple outdoor facilities, challenge course, adventure programs, fitness classes, personal training and “Free Play” -- resources for students who want to get active away from campus. Stanford University provides its students with many different ways to be active and healthy, but it also emphasizes wellness education. The WELL, for instance, is a comprehensive student wellness resource that incentivizes getting health tips by hosting a monthly drawing for those who provide feedback on WELL articles. Topics covered include fitness, mental and emotional health, eating, behavior changes, sleep, empowerment and relationships. The university’s Recreation and Wellness Center offers extensive opportunities to get active, including rock climbing, pool access, fitness classes and outdoor adventure programs. Students can also get counseling and referrals for issues like nutrition, sexual health and body image. Stanford doesn’t mess around with food, either, with their hormone-free dining hall, accommodating menus and food education programs. Whitman College may be the perfect fit for students interested in taking their exercise outdoors. The school’s Outdoor Program hosts off-campus adventures nearly every weekend, allowing students of all experience levels to kayak, hike, ski, raft, ice climb, snowshoe and more. Incoming freshman can jump into Whitman’s outdoorsy culture before starting class by participating in Scrambles, outdoor adventures designed to help new students make friends and have fun. Students can also use Whitman’s 7,000 square foot climbing wall, which was designed by famous mountain climber, Brien Sheedy; use the free 24-hour bike rental service; hop in the 30 meter pool; or use the school’s fitness center. Whitman students can also take advantage of on campus nutritionists, massage therapy, sports medicine and transportation to medical appointments. On top of that, everything in Whitman’s dining hall is made from scratch, often with ingredients from local farms. Marisa Michael is a registered dietitian and certified personal trainer. She has a private practice, Real Nutrition, LLC in Portland, Oregon. She specializes in helping student athletes and active adults achieve better health and performance through nutrition. Adam Padgett is a Certified Personal Trainer based out of Rancho Cucamonga California. He has a Bachelor’s of Science degree from Kennesaw State University and has a specialization certification in Corrective Exercise. 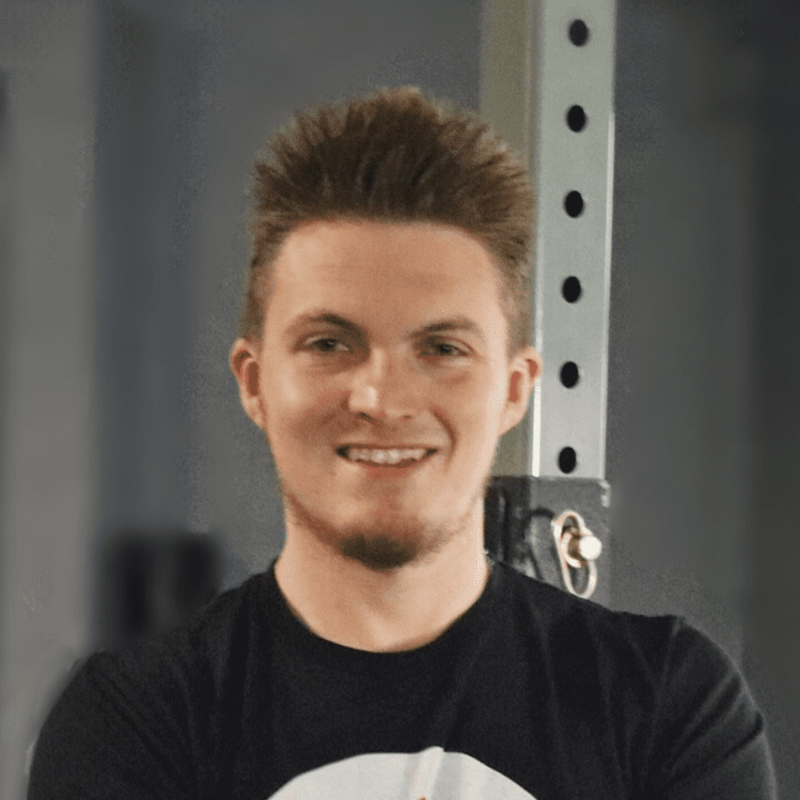 He has been training in person clients and online clients since 2016, working with individuals of all ages and skill levels with goals centered around weight loss, building muscle, strength, sports performance, injury rehabilitation and prevention. Transitioning to college is often a huge adjustment. With managing new schedules, tough course loads, making new friends, potentially navigating a new city or town and enjoying the freedom college can afford at the forefront of many students’ minds, fitness and nutrition may get pushed to the back burner. Why should students make fitness and nutrition a priority? Marisa Michael: Fitness and nutrition can help students do better at school. Good nutrition fuels your brain and helps you stay healthy, which in turn helps you do better in classes. Maintaining a good exercise routine can help you sleep better, help regulate mood and help stay healthy throughout the semester. It's easy to skip a workout or a meal, but regular exercise and good eating habits will help you stay energetic and help you do all the busy things you need to do. Adam Padgett: From my experience, it helps you stay grounded. Exercise helps release endorphins and other feel-good hormones. These hormones naturally help reduce stress, anxiety and put you in a generally more elated and positive mindset. At the same time, exercise helps release toxins from the body. With the standard college student diet consisting predominantly of things like fast food, TV dinners, the dreaded ramen noodles and alcohol, many toxins wind up accumulating. Sweating, stretching and increasing blood circulation helps the body flush these unwanted accumulated toxins out, which naturally makes you feel better. Even just slowly incorporating exercise more regularly and finding cleaner, more naturally occurring food options, should increase your energy levels, improve your mood and help your body operate more efficiently in order to overcome the overwhelming atmosphere that can be acclimating to a college environment. Many students may leave high school with sports, gym routines or other exercise habits under their belts; how can less-experienced students get started on fitness in college? What is important to keep in mind? Marisa Michael: Some tips to start an exercise routine, especially if you've never done it before: 1) Think about what sounds fun or interesting. Exercising won't work if you hate it. Sign up for a wellness class that is new to you, like racquetball or swimming. Just start walking to explore your new campus or town. Try an intramural class. In college, I signed up for an innertube water polo intramural class, and it was hilarious! It wasn't intimidating at all, because no one can be a good athlete in an innertube--instead it was a fun way to be active and laugh a lot. 2) Exercise regularly. Look at your calendar each week and plan exercise into your week. Set an appointment with yourself and stick to it. Find a friend that will be a motivating workout buddy. Find a group, class, or team that meets regularly and will help you keep your commitment to yourself. 3) If you feel you are too busy with studies, take a break for about 10-15 minutes, 2-3 times per day to go on a walk or do simple exercises like pushups, planks, jumping jacks, and squats in your dorm room. Any movements can help blood flow through your body and brain better, and help you get out of a mind block. Adam Padgett: Just start and ask a ton of questions. For someone who has never stepped foot in a gym, never really went out of their way to exercise or be healthy, it can understandably be very daunting to do so when first starting out, especially if you are just transitioning to a college environment. Just be honest with yourself. Walk into the gym, find someone, like a trainer or even a friend you know who has experience working out and just tell them, “I’ve never really worked out before and I’m trying to start getting into it more. Can you give me a few pointers?” No one will turn you down from that. Look into attending a fitness class or an activity/health-based campus organization. Take what you can from those experiences and go from there. Many fitness professionals post exercise tips, nutrition tips and general health advice all over the internet and social media for free. Consume as much content as possible, put it into practice and find what works best for you. Over time you will become more acclimated and knowledgeable about fitness, nutrition and health in general. Remember everyone has to start somewhere! When given the option, is it better for students to use a meal plan or figure food out on their own? What tips do you have for each route? Marisa Michael: I would recommend approaching this differently for each student. Some students don't have the cooking skills to be able to cook on their own, or they may not have reliable transportation to get groceries (if there is no grocery delivery service in their area). These students may want to have a meal plan. Others may feel confident in the kitchen and would rather make their own food. Some students choose to mostly make their own food, but have a limited meal plan option for times when they need to eat out. Adam Padgett: I highly recommend a meal plan, especially for anyone new to health and fitness. I have found many dining halls are slowly beginning to incorporate more healthy options and even providing students with nutrition information regarding the food that is served. For many college students, not only is this a good cost alternative, considering many students do not work or have very low income, but it exposes them to more natural food options they otherwise may not have access to. With the information dining halls are starting to provide, students can get a better understanding of what they are eating as well, so they can put the information to use with their other dietary choices. If your dining hall happens to not be as health-conscious, a simple tactic to focus on is keeping your plate as colorful (with fruits and vegetables) as possible and adding some sort of non-fried lean meat to your meal. Oh, and keep the pizza to a minimum! If you choose not to use a meal plan, I would recommend starting out by tapering down eating out as often and preparing more home cooked meals. Pack meals for lunch, and utilize the above suggestion of keeping your plate colorful and adding a lean meat source. Learn more about you diet and put different concepts into practice to see what works best for you. What are some important elements of fitness and nutrition that college students tend to forget? Marisa Michael: Social and mental health are important in any stage in life! In college, you may be more vulnerable to being out of balance with these. Living on your own is a huge transition. Learning how to navigate classes, studying, exercise and social time can be tough. It's even harder if you are in a new town where you don't know anyone. If you find yourself becoming anxious, depressed or moody, seek help. Most campuses have a health center with counselors and therapists to help you out. Social media is sometimes linked to anxiety and depression. If you feel you are on your phone too much or your mood has changed, seek help. Adequate sleep also helps your body stay healthy. If you find yourself chronically tired, moody, depressed or you can't concentrate, re-evaluate your sleep schedule. Don't feel like you have to struggle alone--there are professional resources available to help you. Adam Padgett: I think sleep is a big one that is not emphasized enough. We’ve all been there. Pulling an all nighter studying for a big final, being out with friends late and having class early in the morning. Caffeine and energy drinks are gaining more and more popularity, but they are only putting a bandaid and on the major issue which is lack of sleep. The body needs sleep! Not only to re-energize, but to repair, revitalize and keep bodily functions running normally. Organ function, brain function, hormone function, physical capabilities--when the body lacks sleep, everything is out of whack. Caffeine can keep you going, but it’s like patching up a leaky sink with duct tape. Eventually, you’re still left with the same issue. Seven to eight hours should be your goal. Things obviously come up, and some days you’ll have to get by, but to perform your best and avoid extra stress, getting on a regular, consistent sleep schedule will help immensely. If you had to boil it down to one or two things, what are the most important steps students should take to become or stay healthy and fit in college? Marisa Michael: 1) Eat regularly. 2) Exercise regularly. Adam Padgett: Consistency. No matter who you are, there are going to be good and bad days with your workouts and good and bad days in general. Whether you are feeling it or not, it’s important to stay consistent with your regular exercise. I also emphasize doing what you can to enjoy being more healthy and fit. Working out and eating better can be a chore at times, and it’s definitely tough to commit to doing something long term you don’t enjoy. Play more sports, or do more activities outside like hiking or jogging. If you’re in the gym, work out with friends or join a group class. Find an accountability partner. Cook some meals for the week with a friend. To make fitness and nutrition a long term, attainable thing to stick to, you have to find enjoyment and fulfillment in the activities you are doing. Do you have any additional advice, tips or insights? Marisa Michael: I would add a word about caffeine and energy drinks. If you are dependent on these, pay attention to how you feel. Some people become less sensitive to caffeine over time. More is not better. If you are seeking energy, it's a sign your body needs more nourishment through fruits, vegetables, whole grains, and good protein--and also enough sleep and moderate exercise. Caffeine and energy drinks can be harmful and addictive. If you are drinking more than 2-3 cups or coffee or other caffeinated beverages per day, it's time to check in with yourself and see where you could eat, sleep and exercise to feel better, rather than drinking more caffeine. Adam Padgett: I think a lot of people have this misconception that to be healthy you have to drink a bunch of kale smoothies, never eat anything unhealthy and have to have the physique of a Greek god. But being healthy is a very relative thing to say. Is there a line to be drawn? Yes. It isn’t healthy to carry 30-40 pounds of body fat on your frame. It isn’t healthy to eat fast food everyday. It isn’t healthy to use tobacco products. But not everyone has the same goal with health and nutrition, and being healthy isn’t a one size fits all hat with exact parameters to follow. An important thing to remember is balance. Everything has two extremes, and it’s important to establish where that balance is. But that balance is entirely dependent on what your preference is. Finding that balance you seek between being healthy, active, having and maintaining the physique you’d like, having a social life, working towards a career, being active in the community, traveling, having fun, creating lasting memories, enjoying your college experience or whatever it is that you want, is difficult. Just remember, fitness and nutrition is a tool to help you get more out of your life, not control it. Health and wellness is a multifaceted issue. Students looking for more information on staying healthy in colleges can check out these additional resources. Shelley is a writer based in Portland, Oregon. She earned her B.A. in English with a writing minor from Portland State University in 2015. When she's not providing education tips, you can find Shelley behind the counter of her favorite independent video rental store, or collaborating with her coworkers on their movie zine.